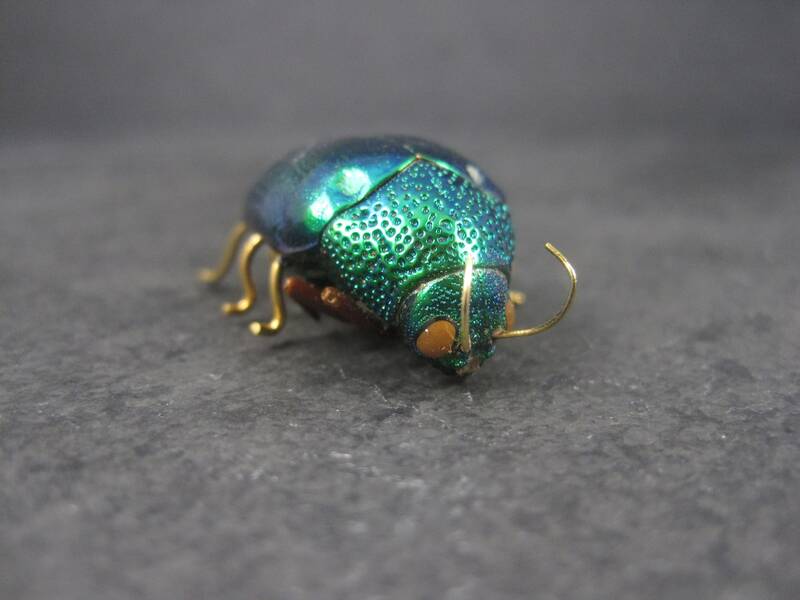 This incredible vintage brooch is a Victorian revival piece. 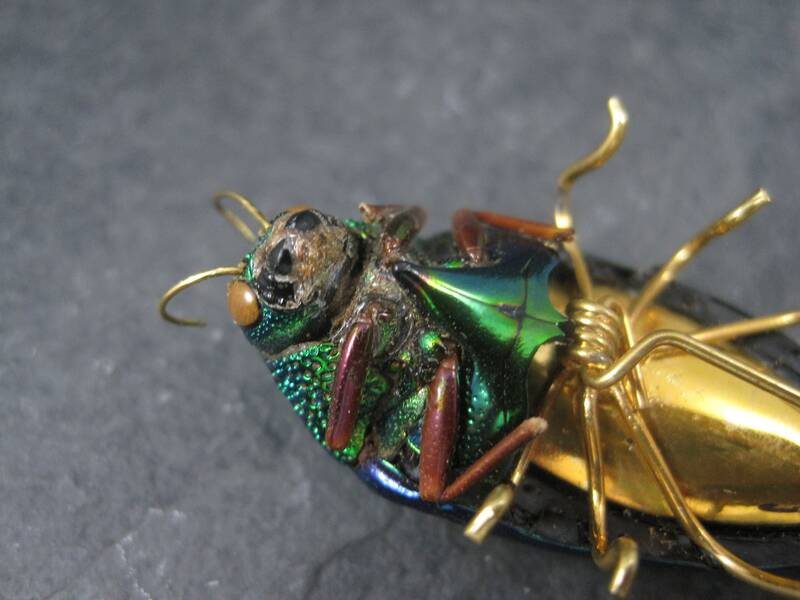 People of the Victorian era loved to use real bugs, birds and other creatures in their creations - especially jewelry. 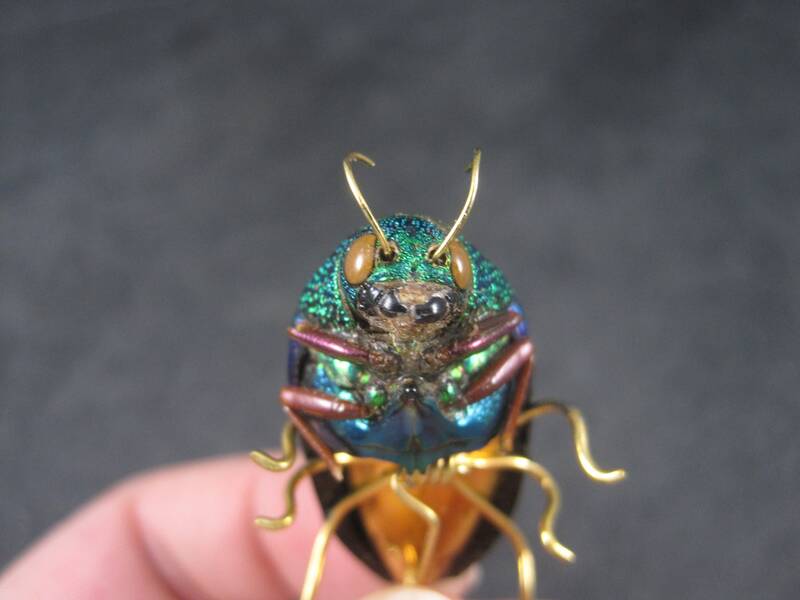 They even used the heads of hummingbirds in brooches, necklaces and earrings! 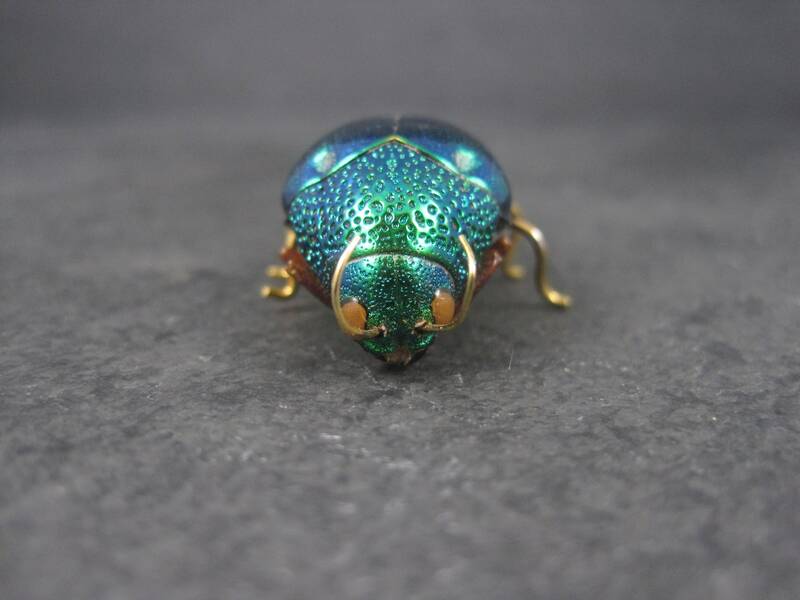 This brooch is made from a real jewel beetle, also known as a wood-boring beetle. 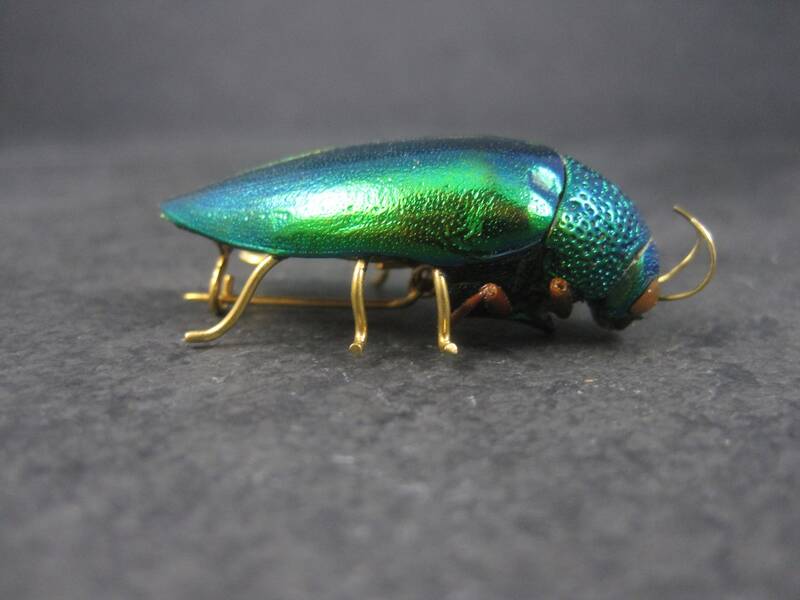 Buprestidae is a family of beetles known as jewel beetles or metallic wood-boring beetles because of their glossy iridescent colors. 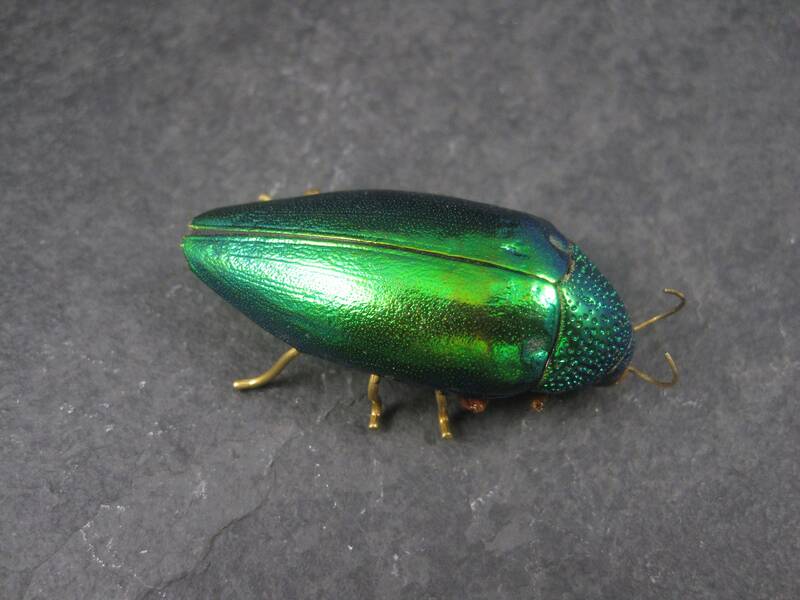 The family is among the largest of the beetles, with some 15,000 species known. This brooch measures 1 11/16 by 1 1/4 inches. 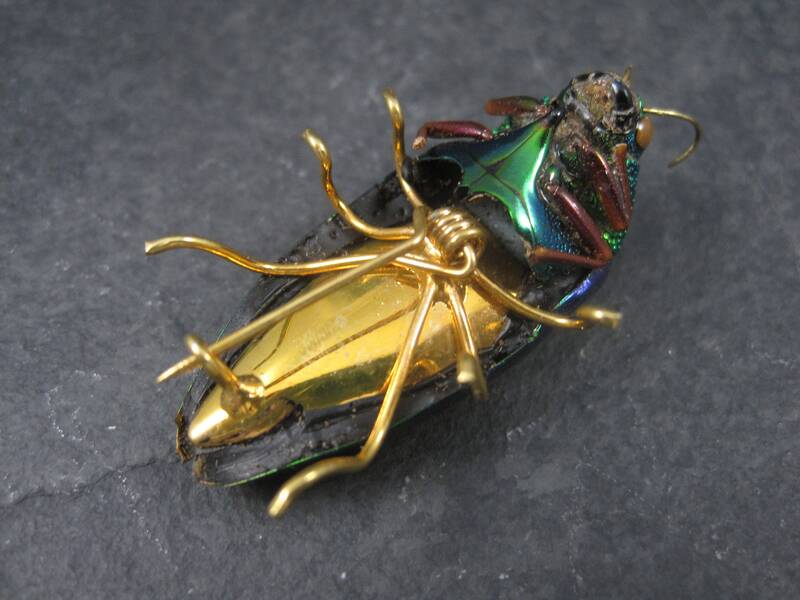 The gold brooch bottom may be gold plated. I did not test it due to its fragile nature. Condition: It looks like one of the legs has been broken. Very minor deterioration of the face/mouth area. Minor metal discoloration due to age. 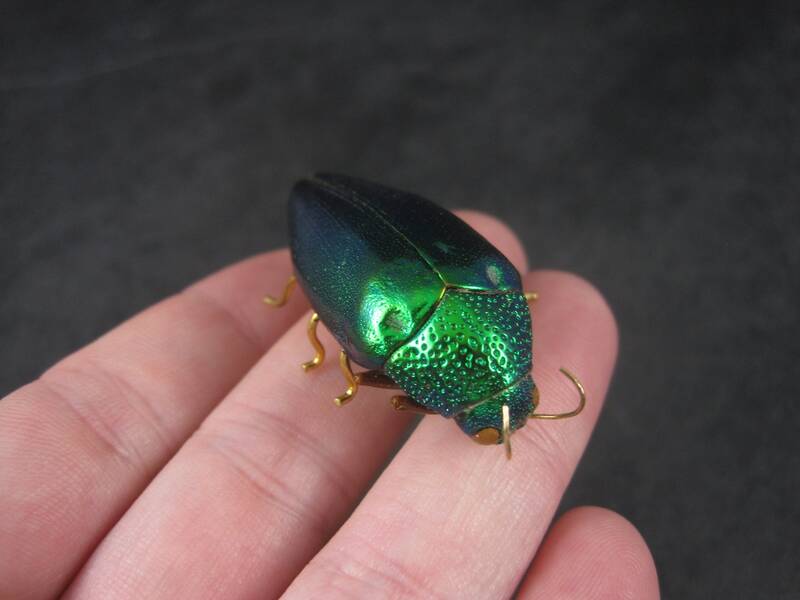 This beetle was professionally re-sealed by an entomologist to prevent additional deterioration.